Individual: Without insurance the first session is $150, and subsequent sessions are $125. Couples: The first session is $175, and subsequent sessions are $125. The initial fee includes the Gottman Relationship Checkup. 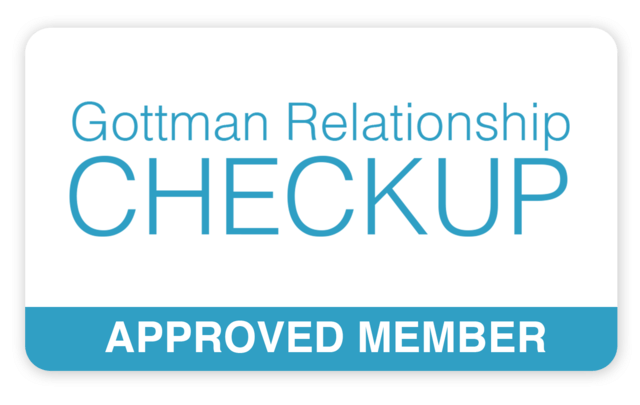 The Gottman Relationship Checkup is an online assessment created by Drs. John and Julie Gottman. Partners are asked about intimacy, conflict, trust, housework, finances, individual areas of concern, and more. This relationship assessment is an evidence-based tool, providing detailed feedback and recommendations about your relationship's strengths and challenges. Are there insurance differences between couples counseling and mental health therapy? Coverage may vary. Please check with your insurer. What insurance companies are you in-network with? Health Savings (HSA) or Flexible Spending (FSA) Accounts can be used for individual therapy payment. In cases of financial hardship, I am willing to consider payment based on a sliding scale. Please contact me for further information. How do I know what services my insurance will cover? Please contact your insurance company to understand your benefits. It is a good idea to ask if an approval is needed; inquire about your deductible; understand your copay; ask your insurer about paying for relationship counseling; and, request information about out-of-network benefits. Your insurance company can explain what mental health services are covered, what services are not covered, and how many sessions they will cover within what timeframe. Insurance can be confusing. Please contact your insurance company to better understand your policy’s mental health benefits, as well as your policy's limitations. How do I use out-of-network benefits? And what is a Superbill? For some clients, out-of-network benefits can cover some of the cost of therapy. Not all policies offer out-of-network coverage. Contact your insurer for information about your policy’s out-of-network coverage. If you have out-of-network coverage, you pay me directly when you attend sessions; I then provide you with a Superbill, which you can submit to your insurance company for partial reimbursement. Cancellations require 24+ hour notice to avoid the full cost of a session. Late cancellation fees cannot be billed to insurance.